Olympic Maritime S.A. (Onassis Group), and Sea-Land Service, Inc. have chosen the Navidyne ESZ-4000 Satellite Navigator for their merchant fleets. Sea-Land has purchased 27 Navidyne sets, and Olympic has ordered 22, with an option to buy as many as 18 more, according to A. Clifford Barker, president of Navidyne Corporation. 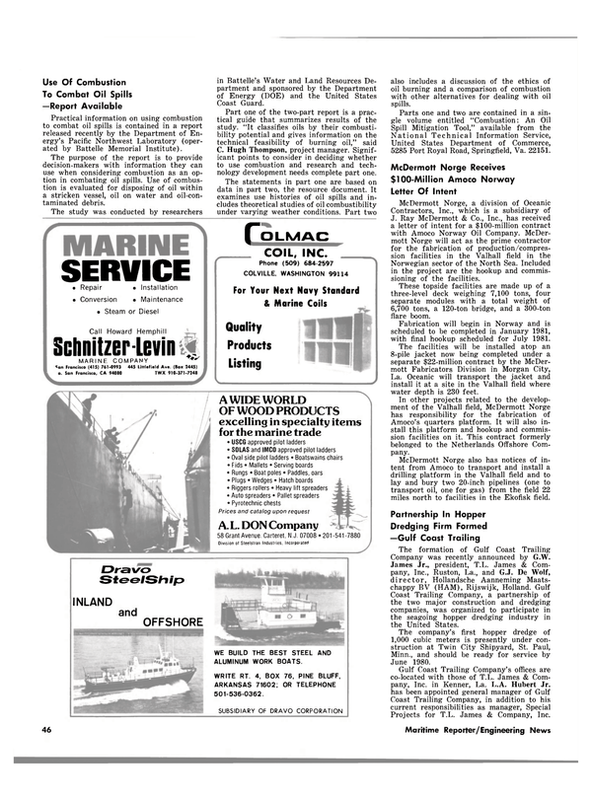 Olympic Maritime purchased the Navidyne satellite navigators through Anschuetz of America, New York. The first sets were installed aboard Olympic vessels in September. Installation of the initial 22 units will be completed by the end of this year. Sea-Land is installing the ESZ- 4000 aboard all ships in its fleet of SL-7s and SL-18s. As the new D-9s go into service next year, they will also be fitted with the Navidyne unit. For literature and full information on Navidyne satellite navigation receivers, write to A. Clifford Barker, Navidyne Corp., 11824 Fishing Point Drive, Newport News, Va. 23606.